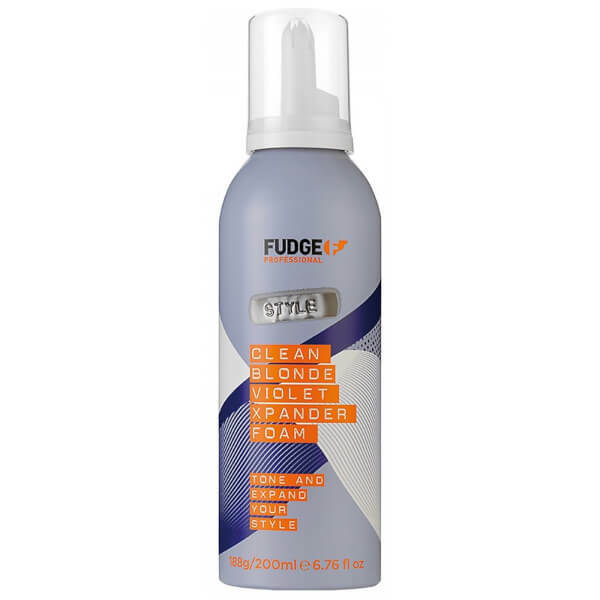 Boost and brighten locks with Fudge Clean Blonde Violet Xpander Foam, a thickening treatment that adds visible volume and shine. Infused with a potent blend of Wheat Protein, Keratin and Panthenol to strengthen strands from root to tip, the formula utilises Fibre-Dense technology to improve the fullness of hair by up to 180%. Lightweight and nourishing, the foam helps to eliminate unwanted brassy tones and protect against heat damage for a bouncy, vibrant and healthy-looking finish. Shake can well and hold upside down to dispense. Apply evenly through damp hair.